As fans of this blog know, there are currently four "found footage" Bigfoot movies being released this year (2012); The Lost Coast Tapes, Exist, The Woodsman, and Bigfoot County. It is the last movie, Bigfoot County, that we have been talking about lately. It is being marketed as "Blair Witch meets Deliverance with a touch of Bigfoot." Our initial coverage of Bigfoot Country was about a viral video of a fictional retired park ranger from Siskiyou County, named Walter Higgins. 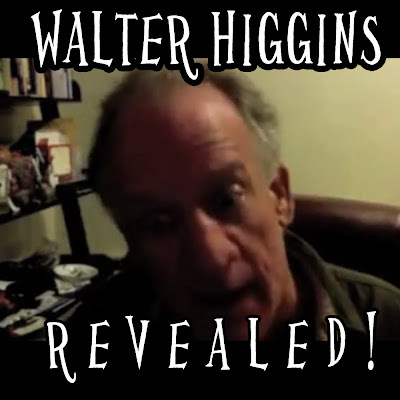 Higgins claimed he found Bigfoot footage that was stolen by actor/director Stephon Stewart. We wanted to get Stephon's side of the story. He let us ask all the hard questions, and in the end, he says he has nothing to do with the campaign. BLC: How did you get interested in Bigfoot? Stephon: I remember when I was 4 years old and was shown the Patterson-Gimlin footage from my mother. She said that it was America's greatest unsolved mystery. I think I have watched that clip at least a thousand times trying to study each possible frame to see if it was real. All these years later I still get chills after watching that footage. 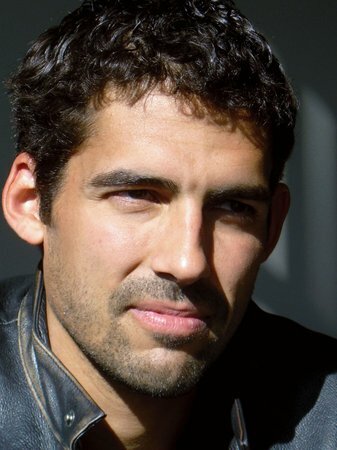 I'm very excited that in my movie I will be able to show that clip for the first time in the history of a movie. BLC: How did your view of Bigfoot change during the course of the movie? Stephon: Well for the past 3 years of my life I have been basically living in "Siskiyou County" and staying in the woods. I think it's safe to say that there are no woods like these in the United States. It's interesting every time at night myself along with the crew would have this uneasy feeling of thinking there is something out there watching you. Also the people over the past 3 years who said they have seen Bigfoot talk about it like they are getting the mail. It's just a way of living in Northern California and it's not even a big deal. I do have to say before I started shooting the movie I was a little skeptical on believing a Bigfoot could exist. But now that I have spent so much time in that world my opinion has completely changed. I believe in Bigfoot and I think they are an endangered species in this country. Stephon: Yes, I know there is a lot of competition this year for these films. I'm excited about it though because it will be interesting how the audiences view each one. BLC: How is Bigfoot Country going to be different? Stephon: Well I can't tell you everything because I would spoil the movie. However I can guarantee you that Bigfoot County has a completely different take on Bigfoot that has never been done before. People will be in complete shock after they view this film. BLC: Do you know who Walter Higgins is? Or Chris Elliot? Stephon: Walter Higgins/Chris Elliot was created by some marketing people that wanted to try some new viral campaign online. Nowadays studios and production companies are looking to save money anyway they can. Doing something online like Blair Witch and Paranormal Activity did is what everybody is trying to follow. If a studio can save money and have people notice the movie they are trying to market then they will do it. BLC: Are you a participant in the campaign? 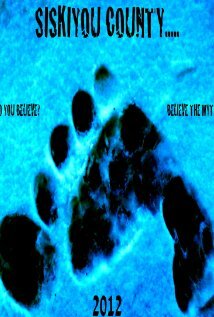 BLC: Then who bought the domain BelieveBigfoot.com? Stephon: I did. I bought the domain name because I liked it and I was going to create a website by putting a trailer on it along with a poster and theaters that the movie will be playing in. The company wanted to try something with it first so I gave them the permission. I haven't really paid much attention to this Higgins video campaign they where doing. BLC: Are you familiar with Steven Streufert of Bigfoot Books? Are you familiar with his criticisms? (he claims you did not approach him as a movie maker, but as a college student) Is there any foundation this? Stephon: I met Mr. Streufert 3 years ago when I was in college making a short film about Bigfoot sightings in Northern California. After I shot the movie and showed it to people, I was approached by a production company that wanted me to make a movie about Bigfoot. So I decided to make it as well because it was a great opportunity. Mr. Streufert I respect and I really enjoyed meeting him at his famous Bigfoot Books store, it was a great experience. In the movie Bigfoot County there is no footage of Mr. Streufert at all because that wasn't my intention when I met him. BLC: Okay, now that we got the serious journalism out of the way who are you cinematic influences? Stephon: I'm a huge fan of Christopher Nolan, I believe he is the best director in the world right now. Also growing up I fell in love with Steven Speilberg and Jaws which was a huge inspiration to me. Stanley Kubrick and Alfred Hitchcock also are icons that I look up to as well. BLC: How will people able to watch Bigfoot County? Stephon: Well it's actually a pretty cool release. We have a DVD release for December of this year. But currently this film is being shown around the country to some colleges along with selected cities that have demanded to see the movie. I'll have a poster and trailer to show audiences next month. BLC: What are your next projects? Stephon: I have over 15 scripts currently. But a few that have stood out in my mind that I think people would really enjoy are "Devil's Triangle" which is a found footage movie about the Bermuda Triangle and "Loch Ness". Also I do have a sequel for Bigfoot County if the original does well but that is something that I will have to wait for before I can start production on that. Making a movie consumes your life so it definitely has to be something that your passionate about and must believe in.